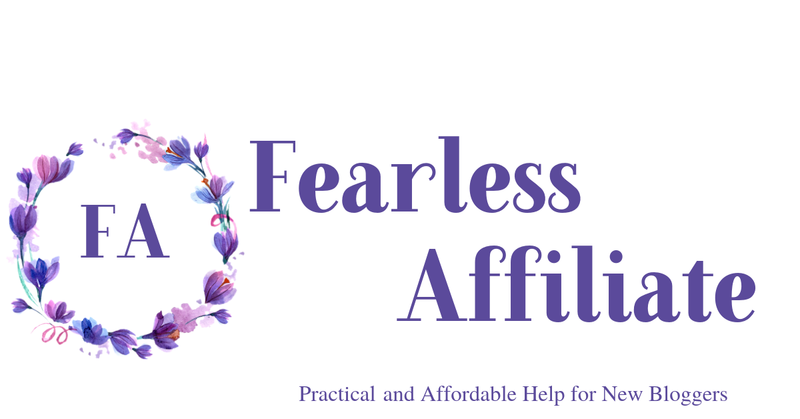 If one of your blogging goals is to monetize and get your blog to the next level i.e. a full time income, you will need subscribers. If your goal is to figure out what you should be writing about, then ask no more! Subscribers will help you to hone your craft. You can ask them what they want to read about. Subscribers will respond to your emails in a more personal way than regular blog readers, because even if only one subscriber responds to your request for blog post ideas, at least you will know something. This kind of feedback is valuable! Is one of your goals to have a loyal audience? If so, subscribers belong to you. They are YOUR audience. They signed up because they want your content. This is a good thing because you will know that you are doing something right if your subscribers stick around. Or what you might be doing wrong so that you can fix it. Social media may come and go (I am looking at you Facebook), but email will always be yours. And most subscribers are not trolls lol. You get better quality feedback from your audience of subscribers. Is one of your goals to create a course (or two) to sell? Why spend months creating courses for people, only to hear crickets? Your subscribers will let you know what they want so that you can create a sure-thing to solve their problems and for them to purchase. I think that the sooner you start email marketing, the sooner you will know exactly what you should be writing about, because now you know who you are writing for! why do I want to create a workflow welcome series? Automations. Sequences. Series. Workflows. The name changes depending on the ESP, but the concept is the same. If you want to build a relationship with your readers, there is no better way than introducing yourself via an email series, created with MailerLite. These are called a “workflow” in MailerLite and you find them in the dashboard under Automation. You can also use automations to deliver freebie courses to subscribers…some nice original content that they will love. Your new subscribers get used to seeing you in their inbox if you send 3 to 5 emails in a one week time period. 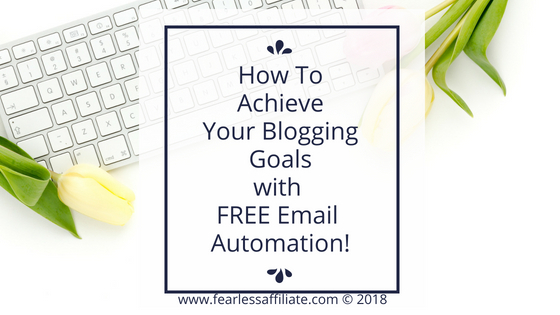 The automation that we are going to set up will be a series of emails, dripped out to your subscribers over a period of days, thereby giving you a chance to introduce yourself and your website and what you have to offer. You have very likely received an email series like this, and if you found those emails helpful you are probably still on that list. People want to be on your list as well, so do not deny them any longer! Automations will save you a lot of time. Once it is set up, every time someone opts-in to your newsletter, this series will go out to them. The world gives you automation…use it! We will set up the entire series at once, and then it is done! I set my MailerLite series up in February, and if I can do it then so can you. …and choose Automation. Click the orange CREATE YOUR FIRST WORKFLOW button. If you have already attempted this part, then just click the Create a New Workflow button. You have to give your workflow a name, and no one will see this but you so name it in a way that you helps you to sort it out from any other workflow that you create in the future. Next, choose a Trigger. The most popular choice is the first one When A Subscriber Joins A Group. This will be triggered by them signing up to your opt-in form on your website (the group being your subscriber list). After that, choose a group. If you are just starting out, you probably only have one group – your main group of subscribers, so go ahead and choose them. Later, when you create a free course, you will create an opt-in and make a new group for this offer. Then link that new group to the free course! Are you seeing the possibilities yet? I bet you are. Below this you should see SETTINGS and you can check the box here. This means that if they unsubscribe and then re-subscribe they will get the series again. It is up to you if you want someone who unsubscribes and then subscribes again later to get the same welcome series again. Click Save and we will start building the workflow. 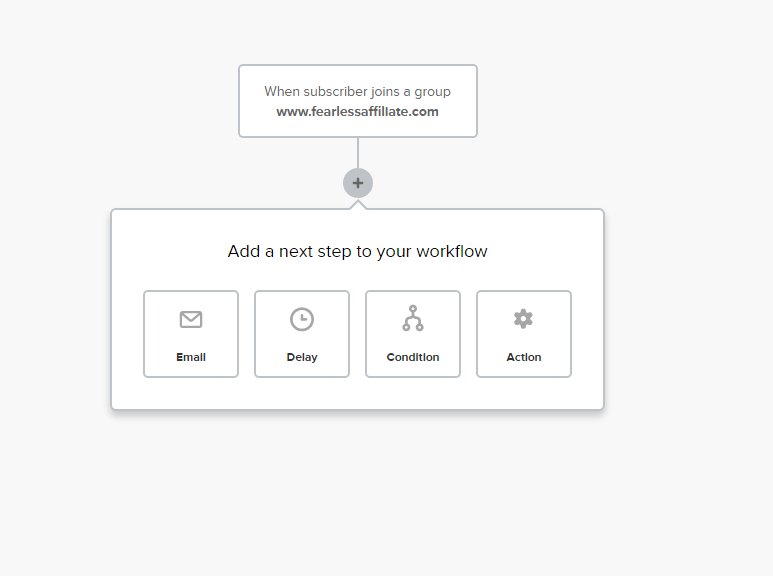 The first step in the workflow should be showing you a box that says “When subscriber joins group…” and then your website URL, and then a line heading down with a circle and a plus sign in it. Click the plus sign to access the next step. In our case, choose EMAIL so that you can create your first email to new subscribers. Save. You can write the emails later, but for now let’s just create the workflow. Under where you clicked EMAIL in the last step, there will now be another circle with a plus sign. Click it and choose DELAY this time. 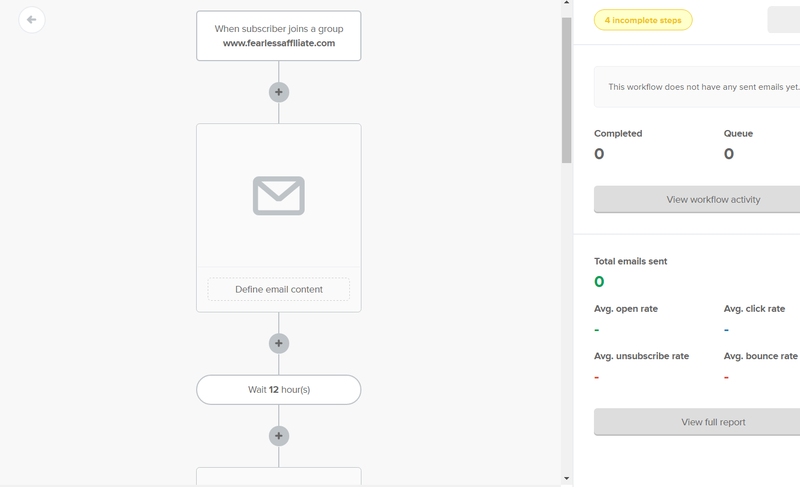 This is where you will set up how much time will pass between the first email and the next one in the series. Since the first email goes out immediately after your subscriber opts-in, send the second email out 12 hours later. Save. Fourth email 1 to 2 days after the third email. Fifth email 2 days after the fourth email. I would suggest that you send no fewer than 3 and no more than 5 emails. Essentially, you get into a person’s inbox 3 times in the first couple of days and then one or two more times that week. Too many emails, and your new friend might unsubscribe. Not enough, and they will forget who you are. Yes, more trial and error! Ta-da! Automation is set up! Note: Conditions and Actions are the other two choices that you have in your automation and they have to do with segmenting your audience and then putting those people into a different group. That is another blog post right there. You get to choose how to create your email, so go with Rich Text Editor so that anyone can view the message using any device. Since so many people are on mobile, simpler is better. If you are offering a freebie, then put the link to it in this email and thank your subscriber for signing up. Ask them to “whitelist” emails from you so that they do not end up in the spam folder; as well as any other “housekeeping” issues, like adding you to social media. I try to smile while I write, because inside I was so unsure of myself, and I was hoping that my fears would not come across in the mail. This may help you as well. I found writing emails to strangers very hard, but now I like to think of subscribers as new friends. It is much easier to talk to people that you are fond of! I can promise you that it gets easier! Especially if you do not get a lot of unsubscribes right away. 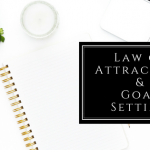 You will know that people really want to be on your list, so you can get down to figuring out how best to serve them, which is way less stressful! 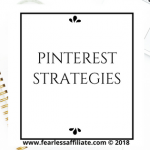 You can also link to some of your popular posts that your subscribers might enjoy, or talk about things that you are offering or that you might offer in the future. If you are planning a course in the future, let them know that you will be picking their brains for ideas! You are trying to build a relationship. I dislike getting an introductory email that asks for money. Maybe that is just me. Please check some of the emails in your inbox for ideas on what works and what does not work for you, and then adjust your own emails with this information. There is no hurry, and it is better to know what you want to do before you do it. What makes you click to open an email? What makes you wait to open it until some other time? For myself, I like getting roundups in the mail. If someone has a bunch of helpful blog posts, I like checking them out. It helps me to see if they really have the information that I want and that can help me in my life. My advice is to just bite the bullet and go for it when choosing what to write about. It will be a memory soon, and you really do not know what will resonate with people until you try it. If you read my post on Free Blogging Resources, you may remember me giving the link to CoSchedules Headline analyzer. Well they also have a handy-dandy Email Subject line tester. I am really not a fan of click-bait headlines, but there is no reason why you cannot create some buzz. Try to find a balance. 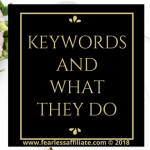 Watch for some popups, at this website, for “How to Write Headlines that Drive Traffic” and also a “Catchy Blog Title Infographic”. They are free PDF downloads. Grab both of them. They will always be handy! 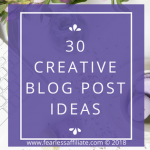 They are designed for blog posts, you can never have too many good ideas for catchy headlines! Introduce yourself a bit more, such as what part of the world you live in and how you came to be in this person’s inbox and why you are doing what you are doing and how you can help others. Not a book, just a paragraph or two to warm them up to you. You can add a photo of yourself too, so that they know you are a real person. You can also help them to navigate your website by telling them what is there since they may have subscribed from the sidebar of the first page they went to, and they may not be acquainted with your awesomeness. Offer up some more links to great content, either yours or someone else’s that you think might help your audience. Talk about your struggles and how you overcame them, because you want to impart to people that you can help them with their struggle. If this is your last email to them, tell them when they can expect to hear from you again, whether RSS feed of your latest blog post sent to them after publishing or whether you will pop in once a week on whatever day of the week you pick. Pro Tip: When you start writing your weekly emails, feel free to write a bunch of them and leave them in draft form in MailerLite so that you always have one ready to go. If you get swamped one week, you can still send out something and you can edit it the day before to add something current. RSS should only be a temporary solution. It is more personal to write a letter to your new audience and link your blog posts within it, than to just send your latest post. You really have no idea what motivated someone to visit your website, so you can not really be sure of what type of content they are interested in. Linking posts from different areas of your website gives your audience a chance to check out something different, but related to the post that brought them to your site. For example, if you promote camping gear on your website. A visitor may be interested in tents, but not ready to research camp stoves yet. Sending them a link to your top 5 camp stoves might interest them while they are checking out your tent recommendations, and they can bookmark it for later. Be sure to thank your subscribers again for signing up! Just keep offering links to your awesome content or free products that they can use to help them, or other ways you can be helpful to them. Don’t forget to ask them to write to you at your website email address with any questions that they have or if they want to get posts or newsletters on a particular topic. The more engaged you are with your audience, the easier it will be to help them! Congratulations on completing your MailerLite email marketing automation series. See, not so hard is it? 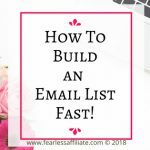 You have to tools that you need to capture email addresses and to start connecting with people who sign up. You can easily set this whole thing up and leave it in draft form until you are ready to write the emails, or just go for it get ‘er done. I would suggest that you write your first regular email right after you do the welcome series. Since you are already in the “flow”, it will be easy. You may have more published content that you want to share, or if you get a lot of emails, there may be something in them that you want to share with your new friends! Pick a day of the week that you are comfortable with and choose the “send later” option for your campaign. Your welcome series will go out on whatever day of the week your subscriber signed up. And then they will get a regular email from you on whatever day you have chosen. Whew! The hard part is done. As for unsubscribes… Unsubscribes tell you two things: either the person unsubscribing was not a good fit for your content. Or they thought that your approach was a bit too…aggressive? salesy? casual? rigid? Well it is hard to say. If you have ever signed up for something, and realized it was not quite what you were looking for and then unsubscribed, well there you have it. Do not lose any sleep over the unsubscribes. You will not have that many of them to contend with. Please leave a comment and tell me how you did setting up MailerLite…was it easier than you thought? Did you have the jitters writing the emails? Are you happy to be able to move past this part of blogging? Or are you just breathing a sigh of relief that you can now collect an audience? Let me know, and feel free to share this series with anyone that you know who can benefit from the information. That is why we am here…to help! Have a great week and happy blogging! 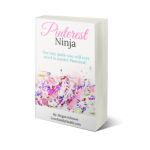 And go ahead and follow me on Pinterest! This is a great step-by-step guide on email automation. I totally agree that one should not try and sell within the first few emails. Users need to earn your trust first! It amazes me how many people out there forget that gaining someone’s email can be more powerful than selling a product! You are so right Cristina and thank you for visiting us today! I am so glad that I started email marketing when I did. There is a lot to learn about ways to use it and what features it has that can be helpful to different niches. No time like the present to start. You will not regret it! Thanks Irma for this comprehensive, step-by-step guide on how to set email automation up using MailerLite and it’s free – great! I agree with you subscribers are an asset to any online business. Thanks for the reminders on this. Hello Fleur and thank you for visiting us today! Agreed and I wish that I had started sooner, which is the lament of many bloggers. However, it is up and running and I collect new subscribers daily. thank you so much for the guide you have put together here. I really, really like your approach here. I have gone through several trainings in the past where instructors tought us to write really “salesy”, “pushy” emails, even for that very first follow up sequence. When I first started out, I thought that this is the way to do it! The more I learn about online marketing, though, the more I learn how important i t is to build that relationship. I am currently going through some training to get my blog on “Parenting as a Dad” started. I have bookmarked your post, though, so that I can come back when I get started with email marketing (seriously, I will be back!!!). Hello Chris and thank you for visiting us today! Yes, it is better to start off with several emails where you offer more of your value to your new subscribers. Link to your most popular posts or what you think are the most helpful posts. Hi Irma, I decided to move my mailing and sales funnel system to mailer light. My bank doesn’t accept payments to the program I started using. Maybe this is even better now, that I can start for free here. I’ll let you know of my progress and if I have questions. 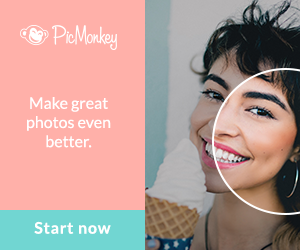 By the way, which of your posts do you recommend to start signing up to mailer light and learn the first steps? I suggest going with How To Use MailerLite first. Best of luck and I am here if you have questions! Hello Ty and thank you for visiting us today! Hello, my good friend have a question for you. I have been having a bit of a challenge getting subscribers do you have any ideas on how to get a person to sign up to my mailing list. I love what you said about asking your subscribers what they would want you to blog about that way it will keep them committed. Thanks so much for your help. Hello Norman, so glad to hear from you again! The first thing that you have to check is whether most of your audience is on mobile or not. Mobile users do not have the same access to the sidebar, so you would want a sign up form embedded into your blog posts; something simple that will look good on a phone requires some trial and error. And do not be afraid to have more than one! Keep one in the sidebar for your PC/Mac users, and at least one in every blog post (embedded using the text editor) for your mobile users. You can also have one at the very bottom of every post, before the comments. Make sure that one of your forms is near the top of your blog post and has a very clear call-to-action. I know with MailerLite, I have about 12 different forms that I have created for different things because I want to tailor the form to the blog post if I can. I do not always use them all, but I want them available. Then I just grab the code and place it into my blog post. I also chose a new theme that allowed me to have my sign up form above the fold on every page, so that visitors would not miss the opportunity to sign up. Secondly, you need a clear call-to-action in your forms. 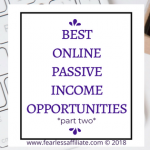 Tell your visitors what you will be giving them if they sign up, such as free guides, links to helpful items or other peoples websites, or information that is not in your blog post and is “exclusive” and just for your newsletter subscribers. And be sure to use clear language for the “subscribe” button, such as “Yes! I want that”. Be creative and use your personality in the form; just make sure that you are encouraging your visitor to click on through and sign up. You can create several forms with different words instead of ‘subscribe’, and A/B test them. 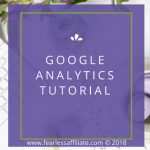 Just make sure that Google Analytics is linked to your website. You can check the stats on any form in the MailerLite forms area, and adjust what you are doing from there. Thanks for sharing your thoughts and the tutorial on MailerLite. 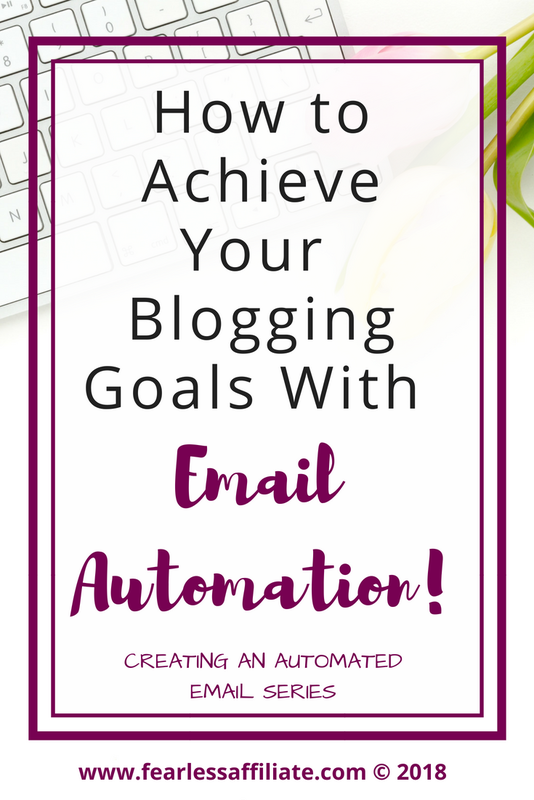 I have just begun looking into the different email automation programs available and this one looks good. Set-up seems simple and I’m grateful for the inside look you have provided. Hello Sanders and thank you for visiting us today! I appreciate your kind words and please let me know if you have any troubles in the future with set up. Hi Irma! There’s still so much for me to learn..which is why I’m now following you on Pinterest. lol. I’d only ever heard of mailchimp before reading your post. Are they similar? Hello Jennifer and thank you for visiting with us today! MailChimp is kind of “bare bones”. It does not have the automation features that you want to take your website into your future marketing. 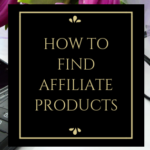 It is also more complicated to use, since the free product does not come with any on-site help features. I recommend getting email set up asap. It helps your writing because your audience will help you to understand what they want from you, which is not always what you want to write about. MailerLite and all the email service providers come with an area that allows you to make embedded forms, which you can customize for your website using brand colors and some fonts. You can customize the button that says “subscribe” and have it say anything that you want, creating a customisable call-to-action with your personality. My previous post was about creating and embedding forms using MailerLite. MailerLite is integrated with Google Analytics, but you should still have GA on your website. The more analytical data that you have, the easier it is to target your audience in your blog posts. I have a post on Google Analytics. Thanks for the information. Leaving emails in draft form for later upload is a great idea. Question: Is Mailer Lite compatible with WordPress plugins? I am not sure what you mean? MailerLite actually has its own plugin that you can use for placing the embedded forms on a WordPress website. I have placed forms manually all over my WordPress site – I took the html and put it within my blog posts. Hope that helps. Great information Irma. I am just starting my blog and have been looking into different options to find out how to get subscribers. This program seems very straightforward and easy to use. 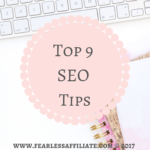 You also provide a lot of great tips to follow that will be helpful for beginners like myself who are new to blogging and not sure how to approach their audience. Hi Cris and thank you for visiting us today! MailerLite is easy to set up and use, and can benefit many types of websites. I hope that you will give it a try!